Kristina Esposito is a producer with her company KEME Productions. 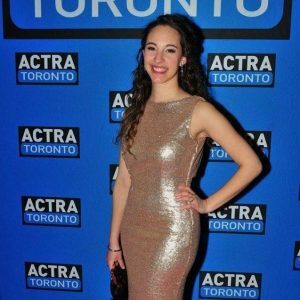 She is a graduate of York University’s theatre program where she studied Devised Theatre. As co-owner of KEME Productions, she has produced award winning content on stage and on screen. Cover Song, a musical she conceptualized and produced, won the Patron’s Choice Award for the London Fringe Festival. On screen, she has produced a number of shorts that have played across North America. She was one of Reel World Film Festival’s Emerging 20 with her short Captive Love. The film later premiered at the TIFF Bell Lightbox on opening night of the Italian Contemporary Film Festival. She also conceptualized and produced Virtual Hitman, which screened at a number of festivals including Philadelphia Comic Con, FanExpo, and the Vancouver Asian Film Festival where it won Best Canadian Short. As an independent producer she produced IRL The Series, which premiered on Bell Media’s FibeTV1 and won best Web Series at the Los Angeles Film Awards. In 2017 she worked as associate producer on the Telefilm funded feature Becoming Burlesque starring Shiva Negar and directed by Jackie English. This past fall Kristina produced her first feature film, Viscous in New York starring Mena Suvari, and Trey Tucker. The film is slated to come out late 2019. Kristina is currently developing a number of projects. From Toronto, to Los Angeles to New York, her work has brought her all over North America, and she continues to work on a number of projects across the continent. Her goal is to tell universal stories in a different light. 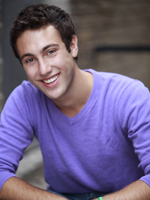 Michael Esposito II is a writer, director, actor and singer performing for over twenty years. He is a graduate of The University of Toronto Mississauga in the Theatre & Drama Studies program where he also obtained a diploma in professional actor training from Sheridan Institute of Technology and Advanced Learning. As co-owner of KEME Productions he has produced award winning content on stage and on screen. As a performer he has entertained audiences in many venues across Canada and the United States. Credits include Disney Cruise Cruise Lines, Holland America, Casino Rama, Alderney Landing, The Grand Theatre, The Segal Centre and the York Theatre Company in New York City. He has sung at numerous festivals and sporting events including Festa Italia, The Johnny Lombardi Song Festival with CHINN Radio and CityTV, The Rogers Center and The Duplex in New York City. His CD Night and Day is available for purchase on iTunes, which includes many of the songs he headlined at Maggie’s Jazz and Supper Club. He performed at the longest running show in Ontario The Decades Show Live at Deerhurst Resort in the Muskokas. He co-wrote and directed the award winning Fringe show Cover Song.